Long standing management and leadership experience in the real estate and financial investment sector in Austria, Germany, Luxembourg, and Hungary. Hands on restructuring rollouts in the field of distressed real estate, turn around, transactions, portfolio management, and corporate real estate. Degree in business administration from Frankfurt University and a post graduate degree in real estate from the European Business School in Oestrich Winkel. 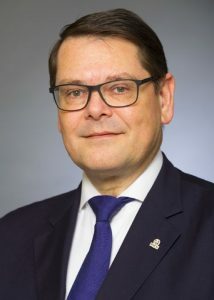 Current Board Chair RICS Österreich ◦ Board Member of RICS Continental European Standards Board (CESB), Brussels (2010-2013) ◦Board Member RICS Deutschland e.V. (2004-2010)◦ Assessor chair for RICS Assessments of Professional Competence (APC) in Austria and Germany ◦ founding board member ImmQu e.V., Vienna.